following the huge success in other fashion capitals such as Paris, Milan, New York and Hongkong, Furla Candybrissima World Tour will make its stop in the merlion city of Singapore. In line with FURLA'S innovative spirit and passion for contemporary art and fashion, personalitis and design students from various art and fashion community will be invited to come together for the first time to perform a creative assemble of the innovative rubber bag. Each artist will choose different materials, details, and colors, to create a one of a kind candy bag. Specially flying to Singapore, CEO of FURLA Asia Pacific Mr. Alessandro Bartoli will be present at this very special occasion with the Ambassador of Italy to Singapore, H.E Amb Paolo Crudele. The good news is that, this creative laboratory is also open for public from May 24-25 from 12pm-7pm and yes you can create your unique candy bag and join the fun too! All materials and hardware will be provided by FURLA for the artisan experience. 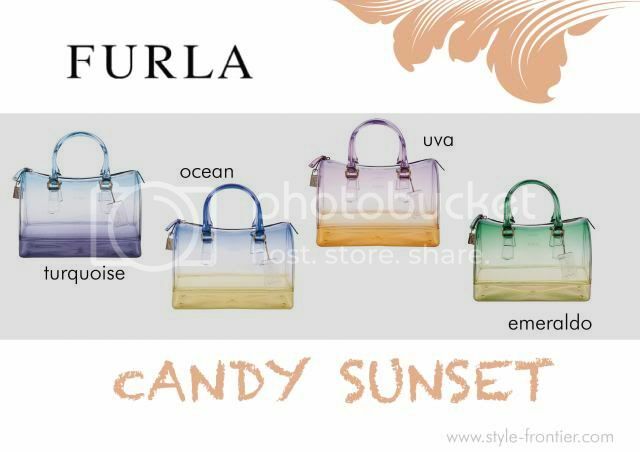 In conjunction with this installation, FURLA will launch two special edition Candy Bag. Smaller version called Candy Cookie and the beautiful ombre of Candy Sunset. It will be available in Singapore starting from May 23 2013. Retail price for these limited edition bag is SGD455 and SGD790 respectively. 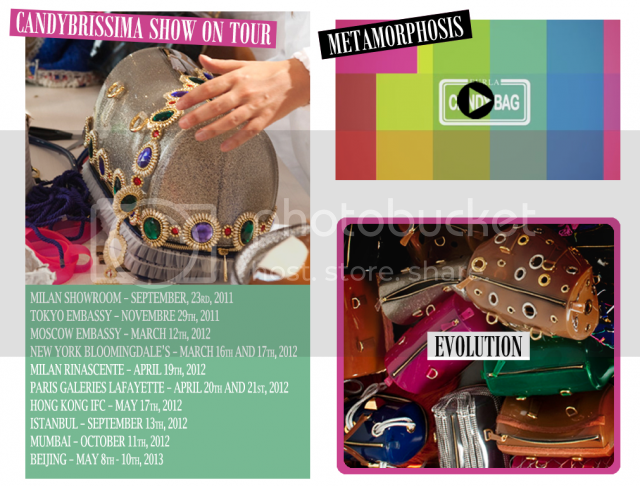 So, mark your date for this fun artisan experience of FURLA Candybrissima Tour, i'll see you there! What a great event, I like how creative it is :). Thanks for sharing :)! I like that brand. is really perfect. Have a nice day. I really like Furla bags! Che belle, io ne vorrei tanto una!! Such great photos, the Furla bags are so unique and really amazing! I enjoyed reading your point of view on my Cannes post. Aren't you glad its the end of the week? Have a great one dear! dang' those handbags are a must have!! love 'em. oh my! now I want one! furla bags are just so hard to resist!